Oh. my goodness! I have been SOOOOOO busy!!!! Between Wednesday and Friday, I printed out 500 pages for the first few weeks of school!!! GOOD GRIEF!!! I have been running around getting all the books and supplements and activities and and and together! LOL I’m exhausted and we haven’t even started yet! LOL Someone remind me to get all the planning and etc. done at least a month before we start! 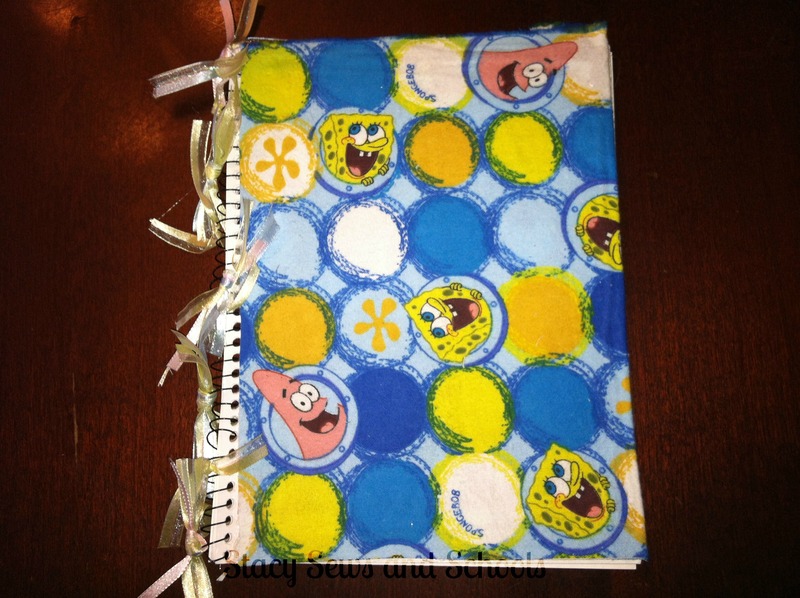 Here is the no sew cover tutorial that I did a few days ago. And here is the sewing cover tutorial that I did a while back. And here are the finished products that I did this week. This one is just like the no sew cover except that I cut 2 pieces and left the spiral part exposed. Then I tied ribbons up and down the spiral. This one is just like the above. I cut and hot glued 2 pieces. Then I hot glued a patch from one of Joshua’s Resident Evil games to the front. 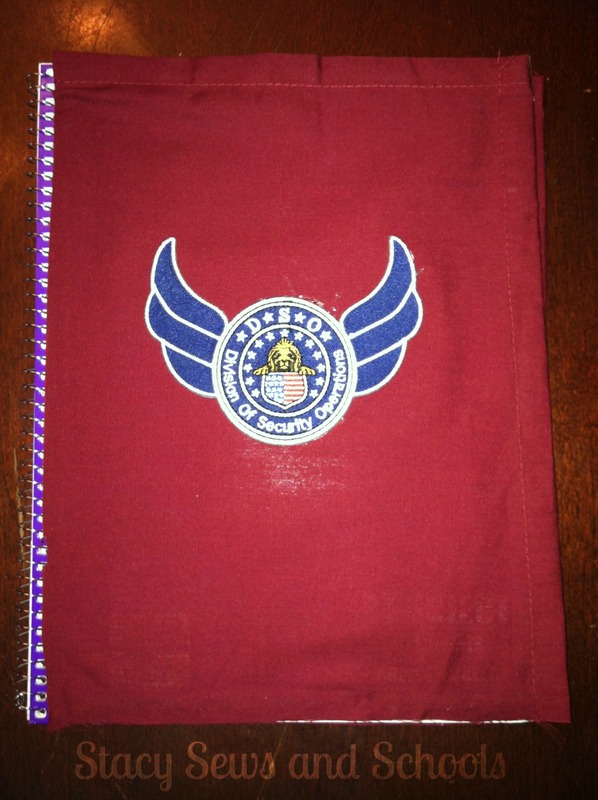 This is one of the sewing covers. I did it just like the book covers I did last year. 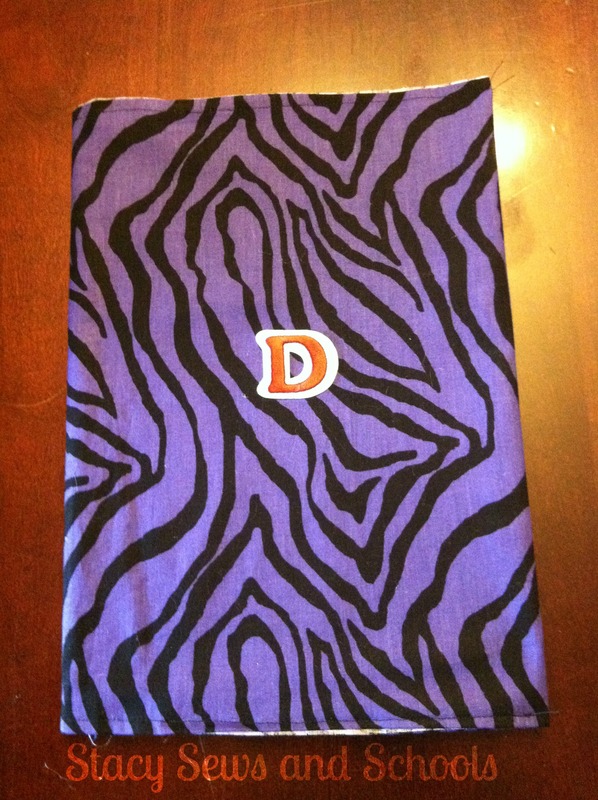 Then I hot glued a big D on the front for Deanna. There you have it! 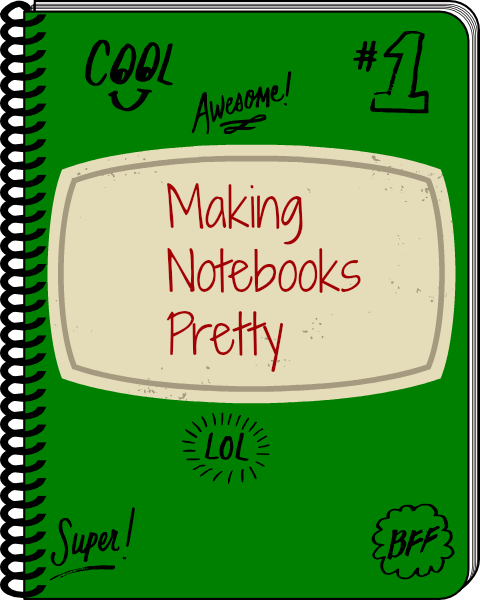 Very simple ways to personalize the very cheap notebooks! LOL The kids LOVE them!!!! HAVE FUN CRAFTING, SEWING and SCHOOLING! They are just so cute, but I honestly have no idea where you find the time. And I love that there’s a no-sewing option! Cute, cute… eeeh — school time is here. Know the kids are dreading it.. My grandkids went back a week ago, they sure were not ready for it,ha. Thank you so much, Heather!! !